Hello and greetings from the far side of the planet, well, for most of you anyway. I’ve got this new blog thing about where I want it but there will likely still be a lot of changes happening to it over the next months. I’m trying to actually turn it into an actual website instead of just a blog. This is will be an ongoing thing, not just something short-term. Anyway, the update. Here goes. So, I’ve been here in Ktown for just shy of a month now, it’s hard to believe it’s really been that long. However, it’s hard to believe it’s been that long not because the time has flown by so quickly but for just the opposite reason. Time here does something funny to you, it honestly feels like the days are longer and the nights shorter. And no, not in the typical sense that I’ve been used to for most of my life. When I described it to my boss he called it the Kabul dog-year syndrome, everything just seems longer. Seriously, when I had been here only two weeks, it felt like I had been here a month. Now… when I say that, don’t get me wrong. It’s not because I haven’t enjoyed it here. On the contrary, it’s been an experience unlike any other I’ve had in my life, in a good way. 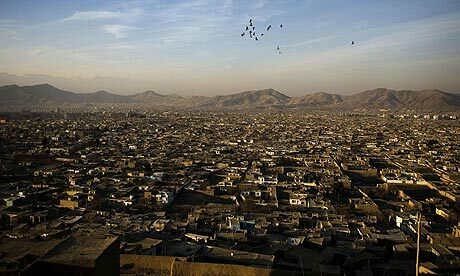 Honestly, when I think of difficult transitions in my life, Kabul will actually not be one of them. Thanks to the second (and beyond) year teachers, the transition here was actually remarkably smooth. It has been much easier transistioning within a community than doing it on your own. I’m really grateful for the friends that I’m making here. So.. the job. I’m currently working as the Executive Assistant to the director of the school here. No where have I actually seen a job description of what that means.. but you learn to roll with it. A given day can have more ordering/designing business cards, proof reading letters, meeting with the student government representatives, filing, doing random HR stuff, helping create the staff menu, emailing diplomats, visiting Afghan government agencies, and so on and so forth. So, yes, hectic and fast paced much of the time, a little bizarre sometimes, but good experience all the time. I’ve taken over as the administration representative to the student government here at the school which really means helping the student leaders accomplish what they need to by helping them from the administration side of things. AND (exciting news, note the CAPS), I’ll be leading the schools Model United Nations team this year as well. I’m pretty excited about this (all that MUN in college is finally paying off I suppose). So, even though I’m not directly teaching any specific subject, I’m getting some good face time with the students. I honestly don’t think I could handle being a middle school or high school teacher. On that note, I have to say that I have a ton of respect for those who are teachers. From PreK-12, you have my undying respect, seriously. I wouldn’t want your job, I’d freak out. The city is beautiful. A bit dusty but overall, excellent. I enjoy regularly going to the roof of the high school and looking out onto the city at night. Kabul is situated in the mountains (on one end of the Hindu Kush I believe) at about 5,600- 6,000 feet, depending on where you are in the city. We’ve just had about two days of rain and the air is remarkably clear. The view of the mountains has been excellent today. I can’t wait till they’re snow capped. And the people here are great. From the expats to the nationals, everyone that I have met has really been outstanding when it comes to humanity. This is a place where you come knowing and expecting sacrifice, these people do it gladly. Especially those who bring their kids. Truly outstanding people who I’m happy to know. And, I’m sure that all of you are wondering, what about security? Honestly, Kabul has been quiet. There has been a lot of activity elsewhere, especially in Helmand and Kandahar provinces, but things have been calm here. I could end up eating my words soon though. Tomorrow is a national holiday, people like to blow themselves up here on holidays… unfortunate, I know. However, the only security breach we’ve had here are the feral cats sneaking into our house. Annoying but generally not deadly. Well, that’s about all for right now. I know, I kind of did a mile wide and an inch deep thing there. But more is on the way. I’ve done a lot of reflecting since I’ve been here and have a lot to share. It is forthcoming. Until then, I hope that all of you are doing well. Feel free to comment and ask questions about what I’m doing here. However, keep in mind that due to security I may not answer your questions, and may not even allow your comments to show up. Nothing personal, just the way it is here. Hey, just a reminder, you are pretty incredible. So proud of you. Missin ya somethin terrible. Great to hear on update on your life Luke! Cant wait to read more. What an exciting adventure to be embarked on! You will be in our prayers my friend! Blessings. One of the more eloquent updates I’ve read in some time. Please continue these updates on a regular basis. It makes you seem.. not so far. Until next time, my friend.